ARCH ENEMY have returned full force ahead as they prepare to release their forthcoming album, "Will To Power", out September 8, 2017 via Century Media Records. Pre-order's includes the album as a digital download or offered on one of the below formats via Century Media Records worldwide (excluding Japan). 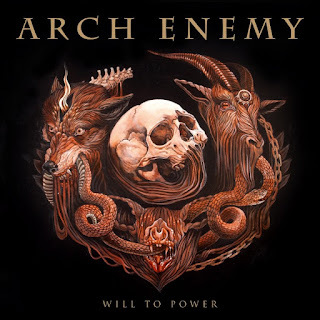 "Will To Power" will also be offered in several exclusive variants throughout the world. - Limited Edition Deluxe Box Set including Gatefold Yellow LP w/ Booklet, Limited Edition Digipak CD w/ poster & sticker set, Bonus 7" LP featuring previously unheard cover tracks, exclusive slipmat, poster, patch and postcards, 500 copies.